Your support is crucial to ending the breast cancer epidemic. 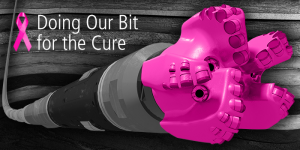 San Francisco, CA – Breast Cancer Action today thanked Susan G. Komen and Baker Hughes for partnering on the most ludicrous piece of pink sh*t they’ve seen all year – 1,000 shiny pink drill bits. BCAction hailed this partnership as the most egregious example of “pinkwashing” they’ve ever seen and heartily lauded Komen and Baker Hughes for doing their bit to increase women’s risk of breast cancer with their toxic fracking chemicals. BCAction commended Baker Hughes and Komen for their ingenious pinkwashing profit cycle, whereby Baker Hughes helps fuel breast cancer while Komen raises millions of dollars to try to cure it. “With all the toxic chemicals Baker Hughes is pumping into the ground, we thought they didn’t care about women’s health. However, this partnership with Komen makes it clear where both organizations stand on this issue,” said Karuna Jaggar, executive director of Breast Cancer Action. Breast Cancer Action coined the term pinkwashing as part of their Think Before You Pink® campaign to describe a company or organization that claims to care about breast cancer by promoting a pink ribbon product, but also produces, manufactures and/or sells products linked to the disease. Over 700 chemicals are commonly used in the process of drilling and fracking for oil and gas. At least 25% of these chemicals increase our risk of cancer. Baker Hughes is certainly “doing their bit” by fracking for gas and oil, which entails taking millions of gallons of water, mixing it with tens of thousands of gallons of chemicals and pumping the mixture underground at extreme pressure to break up rock formations and release oil or natural gas. Baker Hughes has been busy breaking up all those rock formations and injecting chemical-laden water deep underground – in 2013, the corporation made $22.4 billion drilling for gas and oil. These drill bits are painted a specially commissioned pink to exactly match Komen’s brand color. Baker Hughes will use these pink drill bits to create an underground path for their special toxic mix of fracking chemicals that have a high chance of seeping into groundwater supplies and poisoning all living things in the vicinity, including women’s bodies. “When future generations have to choose between safe drinking water and developing breast cancer, they can look back and thank Baker Hughes and Susan G. Komen,” Jaggar said. 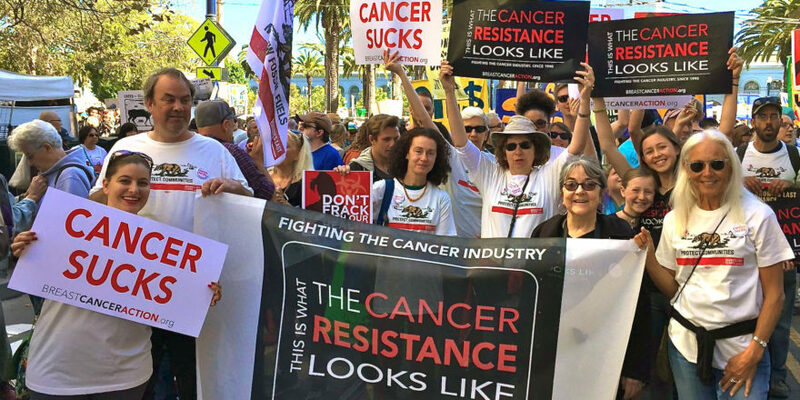 Take action and tell Susan G. Komen founder and chair of global strategy Nancy Brinker to stop fracking with our health. Breast Cancer Action (www.bcaction.org) is a national non-profit education and activist organization avoids conflict of interest by refusing funding from the “cancer industry,” including pharmaceutical and chemical companies in order to retain an independent voice and offer truly unbiased information about breast cancer. BCAction’s mission is to achieve health justice for all women at risk of and living with breast cancer. This entry was posted in BCA News, Press Releases. Stay on track with all the important news and updates BCAction is famous for! Breast Cancer Action has never been your typical breast cancer organization. We’re working to address and end the breast cancer epidemic at the intersection of breast cancer, the environment, social justice, and feminism. Hungry for change? So are we.